Look at those two handsome princes! 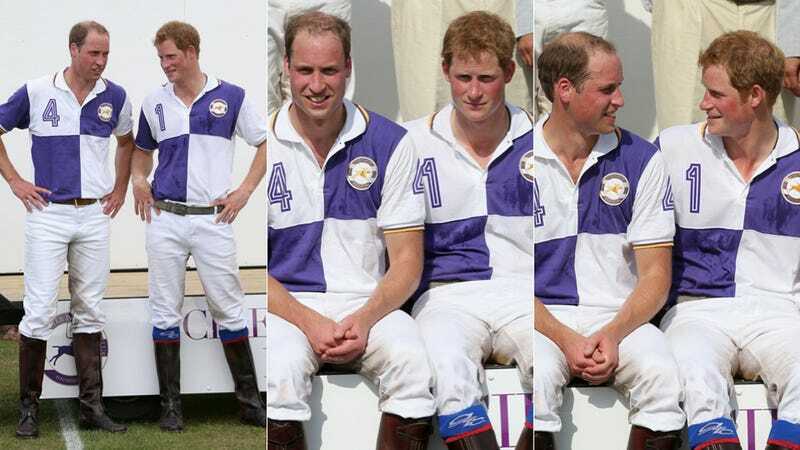 Since William and Harry spent the day playing polo in Cirencester, England, that probably means Duchess Catherine isn't giving birth quite yet. If she is, Wills has some 'splainin to do!